Samsung will hold its next Unpacked affair next month, where it’s expected to show off a “fully functional” version of its foldable telephone, along with the next iteration of its Galaxy lineup, Galaxy S1 0. A new spilt idol from Evan Blass presents off three versions of the phone, the S10E, the S10, and the S10 +. There ought to have rumors hovering around since last fall that the S1 0 would come in three discrepancies: the S10 and S10+ with a curving OLED screen, hole-punch selfie camera, and in-display fingerprint scanners, with a third( apparently the S10E ), serving as a cheaper edition without all the bells and whistles. The fellowship is likewise rumored to have been in discussions with Verizon to introducing a 5G explanation of the phone to the US. A leak from Blass in early January pictured off the figurehead of the S10 model, picturing negligible bezels and a hole-punch for the forward-facing camera. 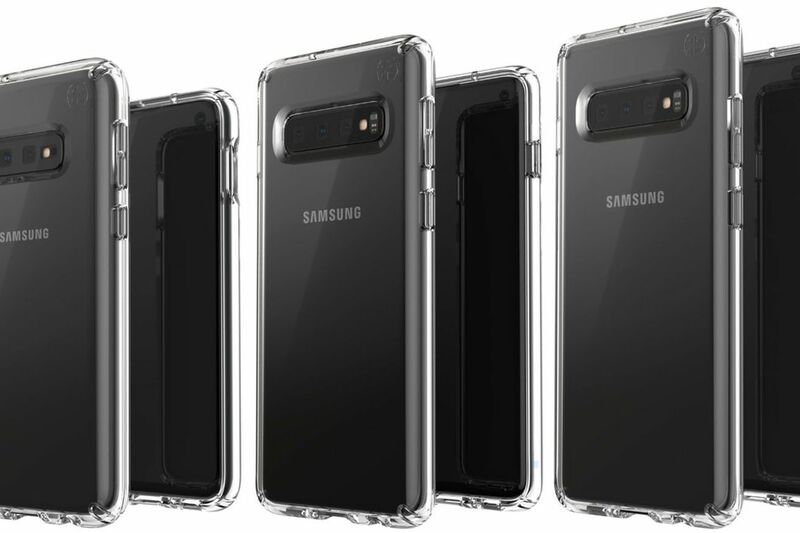 Blass points out that this image boasts the Galaxy S1 0 lineup in clear contingencies, with the S10E on the left, the S10 in the middle, and the S10+ on the right. The S10E peculiarity two cameras on the back, while the other two have three. The S10+ likewise appears to have a duo of front-facing cameras with a greater hole-punch. There’s quite a bit resting on this year’s lineup, especially as the company faced gradual auctions for the S9 and a sharp drop in advantages in the final quarter of 2018. With this year’s changes to the phone after last year’s “predictable” iteration, maybe Samsung will be able to entice buyers back in 2019.